Life can be tough, abrasive and jarring to our senses. If you are feeling in any way spent, depleted or battered by your journey through challenging times, you will certainly benefit from an energy healing such as angel healing. All my healing work involves the highest Angelic presence, and comes through me from the Archangels, rather than from me. Your body has infinite wisdom. Remember just how much it does every minute of the day without us having to do a thing – its simply amazing. Sometimes your body becomes a messenger from the part of your being that resides in the Sub-Conscious of your mind and the Higher Self of Your Soul. Often these messages show themselves as dis-ease, ailments or illness. It is sensible and helpful to consider the wisdom of your body, to interpret its messages and to take action on them, as every communication (aka ailment) will likely have an emotional attachment and foundation. This is the core aim of angel healing. It is my experience that the best way to heal is through interaction between client and healer – this way you will be part of your own ongoing healing process, which is good for you as we will not be together 24/7. The more you understand about how to heal the better you will feel much of the time. Don’t worry this is much easier than it sounds and actually is quite enjoyable and empowering. This can be as simple as keeping an open mind. We will work together on understanding what is going on in your system and set some intentions for the healing. Thereafter I do Angel Reiki energy transfer. All Healing can be done in person or remotely. You have been my spiritual teacher for the last year and have helped me rediscover myself, my world and above all find answers to questions that always confused me and made me look at life in a negative way. The effect of these negativities not only had its impact on my mind but on my health too, which manifested in the form of high cholesterol, 4 gallstones and a gastric ulcer. When I discussed my health issues, you opened my eyes to an aspect of life which in essence, answers in a holistic way the root cause of our physical ailment as the release of the negativity inside us. Although I am under consultation with medical practitioners and under regular medicines, I strongly feel that medicines only cure the symptoms of the illness but not the root cause. Healing is only possible when there is a true mind-body co-ordination which again is not possible till one is not having faith on the one’s own self and its immense power , which is nothing but the existence of the divinity in us. I did not accept your statements blindly as I am a student of science and do not accept anything which I found irrational. I found your explanation on mind body correlation, the reasons behind us experiencing both good and bad things ( rather “different experiences”) in life and the relationship between physical and metaphysical world not as an antithesis to what psychiatrists (the wonders what our subconscious mind can do), and physicists (by mass- energy equivalence) have stated , may be in different ways . It is only my ignorance which made me not realise the implications of these physical and psychological laws before, for I read about them in texts but not realised how entangled they are in our everyday life , in our joy and sorrow and in our sickness and health. Your spiritual guidance lifted this veil of ignorance before my eyes. I just wanted to let you know the Angel Reiki worked wonders. Felt absolutely atrocious Thursday morning but I felt it leave me and then was fine for the rest of the day. Haven’t been sick, no cold sweats, the confusion and clouded vision has gone. The poor Dr ordered another blood test because she couldn’t work out what was wrong! Not sure what to tell her now! So glad to be feeling better. Just a quick one to say Thank you for the lovely Angel Reiki yesterday, it was very powerful, I felt a lot of energy going through my body. I would like to have another Angel Reiki session at some point, has helped lots. Yes I think the Angel Reiki has helped something in my tummy. I get a lot of problems with my tummy it very lazy and it seems to be working a lot better. Your energy was very strong on me and I want to book again. Thanks for yesterday & the best nights sleep I’ve had in months, I slept so well & had no pain. Thank you so much for seeing me yesterday, I feel a lot calmer now! The Reiki healing was very powerful. All very intriguing and I am interested in pursuing the Reiki further. You light up a room, you make dreams possible, you are breath-takingly beautiful inside and out. Thanks you so much for such a detailed insight into the Angel Reiki session, I find it all so interesting and applicable. I have been very enlightened by our sessions and intrigued to see results. I have been Listening to the CD you gave me last week which I have found very useful. Thank You for the healing – I’ve had other types of healing but nothing like that before it was amazing! I feel about a stone lighter! It is always a great pleasure to meet and work with Elizabeth in the angel readings and Reiki sessions. It seems that since I have met her a big cloud has been lifted from my life. I feel everyday more in harmony and more in control of my present at work and in my private life. I was so enthusiastic about her healing sessions that I brought my father for one of them. He was suffering from a very strong neck with arthritis, which was very painful. Since his Reiki session with Elizabeth, he hardly feels pain at all. I am really happy that he had a so positive reaction to the session. 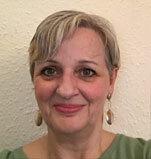 Thanks a lot Elizabeth for your fantastic work… It is all the times so wonderful to see you and let everything go during the Reiki appointments. Thanks so much for your support – I really needed it and now feel more together and positive. I am feeling more in tune with my power as a healer. Something about your healing made me feel I had come home and a sense of belonging. Elizabeth is truly a gift from the Angels. With her incredible connection and knowledge combined with her loving and sensitive nature I would have no hesitation in recommending her to potential clients as an Angel Reiki Practitioner. I am so looking forward to working with her in the future. Angel Reiki uses the loving energy of the Angels, Archangels and Ascended Masters. Angel Reiki focuses this beautiful energy to balance your mind, body and spirit in a subtle yet powerful way. Very often physical ailments are signs that we are not living in tune with our true self (dis-ease). We are all part of a magnificent wheel and Angel Reiki helps to bring out the essential you – the bit that makes you special and unique. It not only helps with relief from the physical ailments but also sets off a chain reaction that kick starts your body into healing itself.